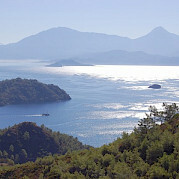 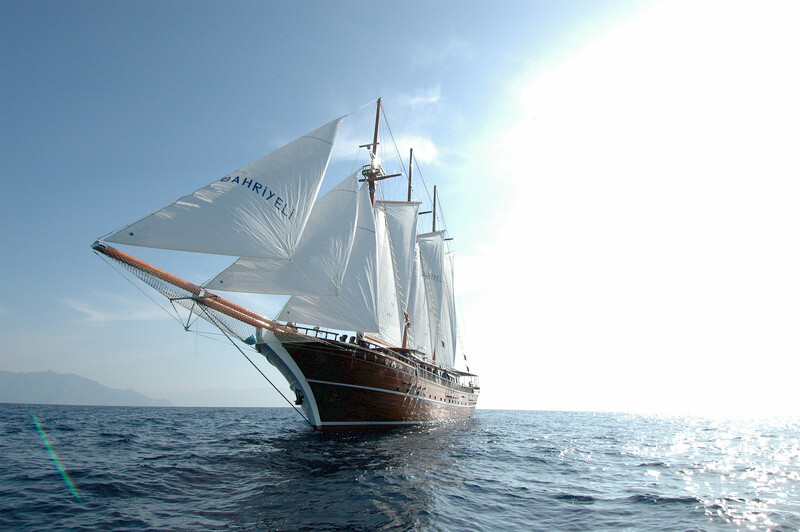 On the Turkish coast, a Bahriyeli is a synonym for greatest possible comfort and best material. 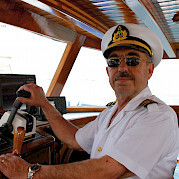 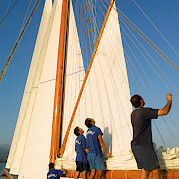 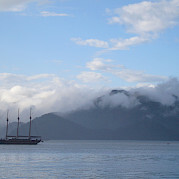 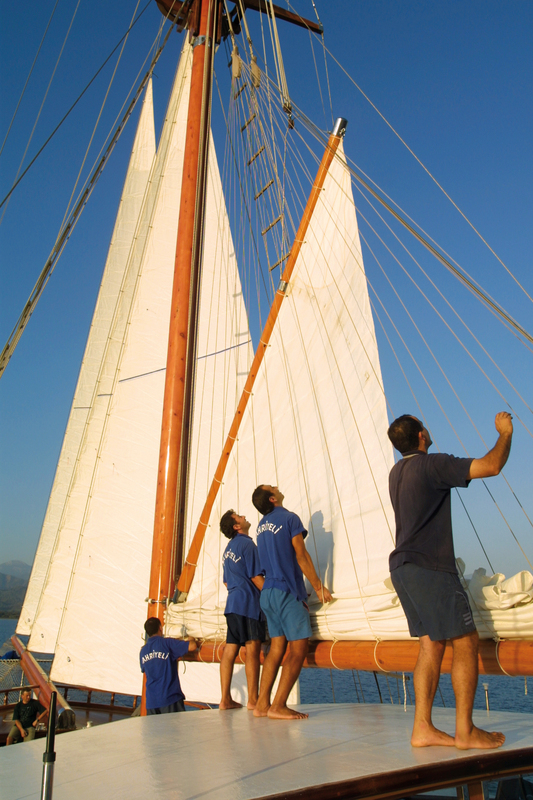 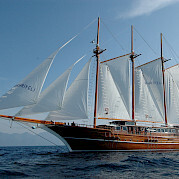 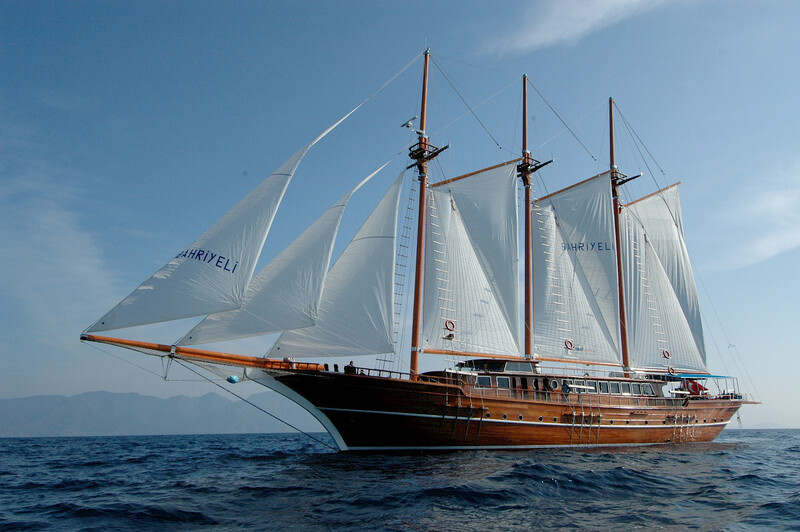 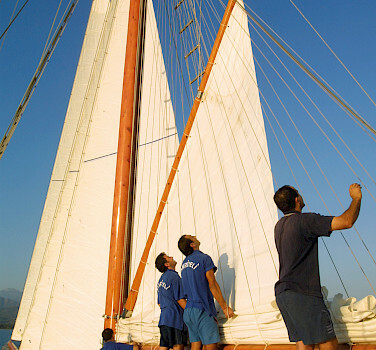 The Bahriyeli A is a three masted motor-sailor built as a traditional Turkish gullet in 2002. With its high rising masts, this boat is a real eye catcher in every harbor. 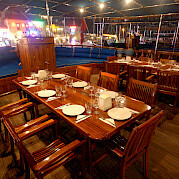 The teak furnishings are high class and elegant. 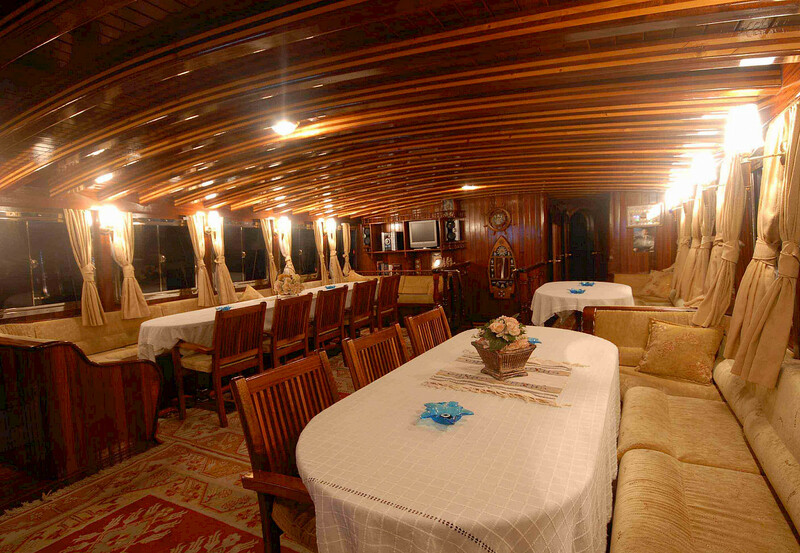 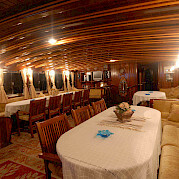 Large tables are situated on the aft deck, set decadently by the crew for mealtimes, weather permitting. 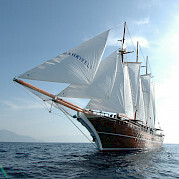 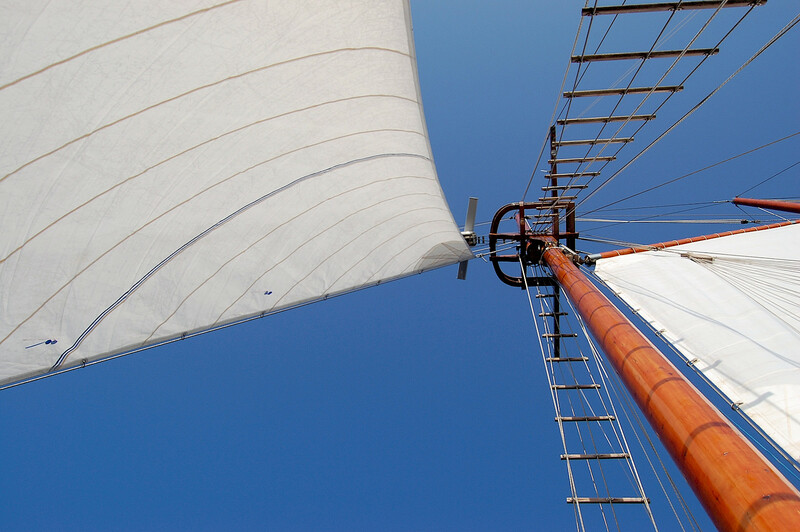 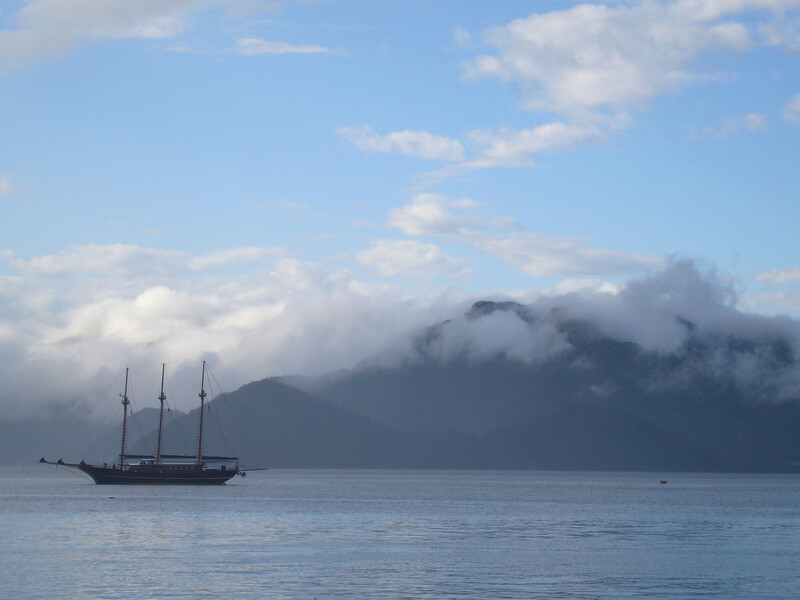 The setting of the sails on board of this proud ship is definitely a unique experience. 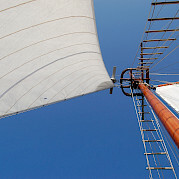 WiFi is not available on board. 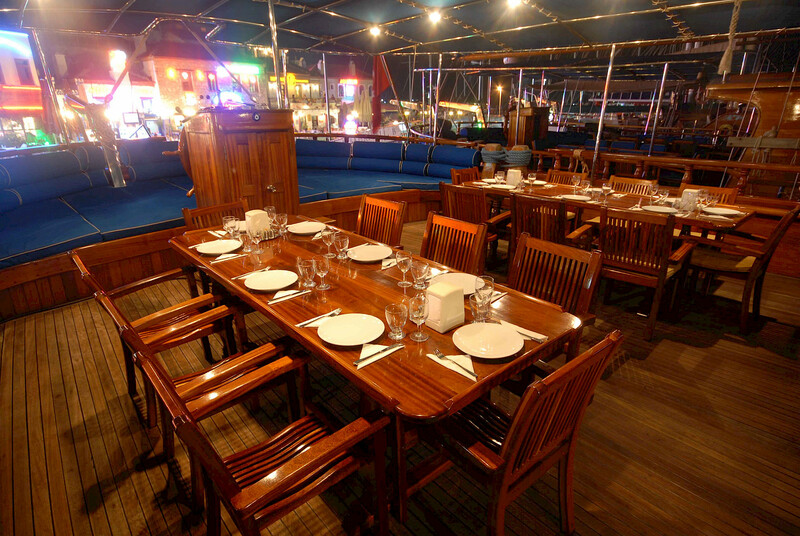 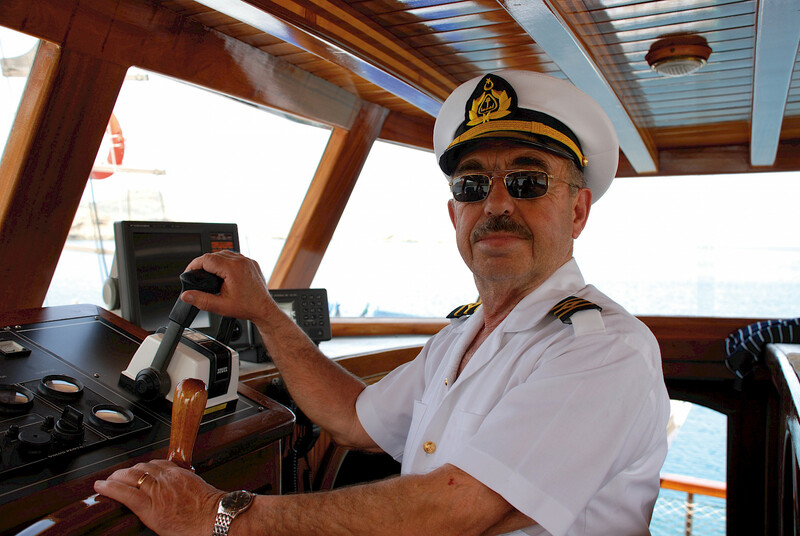 You will be pampered with a generous variety of authentic dishes, created masterfully in the on board galley, bringing insight into the diversity of the Turkish kitchen to the table.